From Las Vegas I took a 15-hour trip/tour of the Grand Canyon - South Rim. It was fully worth it, but it was cold and windy. The temperature was ~ 40º F or less. The windchill factor might have been less than 32º F. There was snow on the ground. We got more than three hours to walk around the rim and take photos, which was more than ample amount of time. 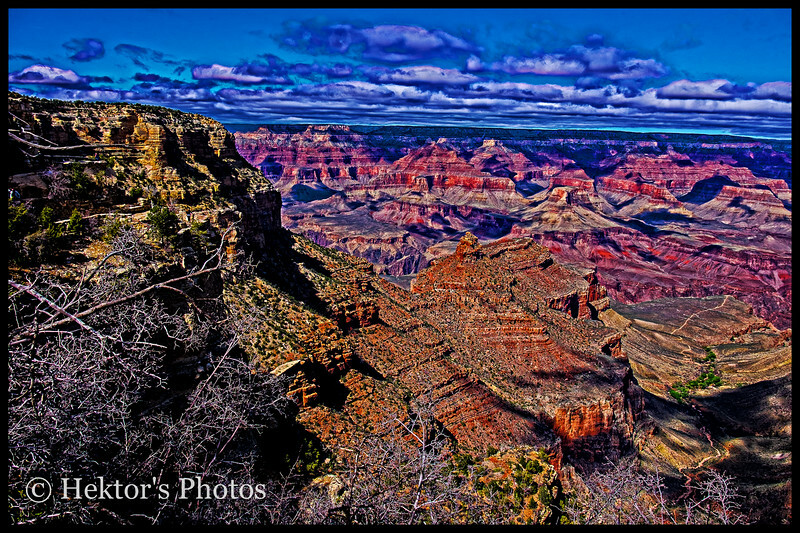 Here is my Grand Canyon photos link . I would recommend this trip to anyone that visits Las Vegas. I visited the Grand Canyon several times, in years past. At 67 it is a very hard drive. Actually, you do not need more than three hours to see the canyon, unless you want to partake in the Rangers' activities and programs or go down to the canyon. Make no mistake abut it. The Grand Canyon is magnificent, spectacular, memorable, unforgettable, majestic, breathtaking , and many more adjectives I cannot come up with. However, after 3 hours it becomes a hole in the ground :) Well, sort of. Therefore and imho, 3 hours to see the canyon is more than enough. To go down to the canyon and be next to the Colorado river you need more than 3 days, but t is fully worth it. You usually go down to the canyon by mule, which is an exciting, trepidating, and unforgettable experience to last a lifetime or two. I will never forget the mule going by the edge of the road and the abysm beyond the edge of the road. What Is Nikon Up To? I was thinking about the rumored Mirror-Less (ML) that Nikon is supposed to be introducing, by the end of this year. The following is sheer speculation by me that I would like to share with you. There have been rumors that Fujifilm will introduce a Medium-Format (MF) ML camera soon. However, Fujifilm seems to have discarded the idea. On the other hand, the rumors about Nikon coming out with a “Larger Sensor” ML camera are getting stronger. What does Nikon mean by “Larger Sensor”? I really do not know. 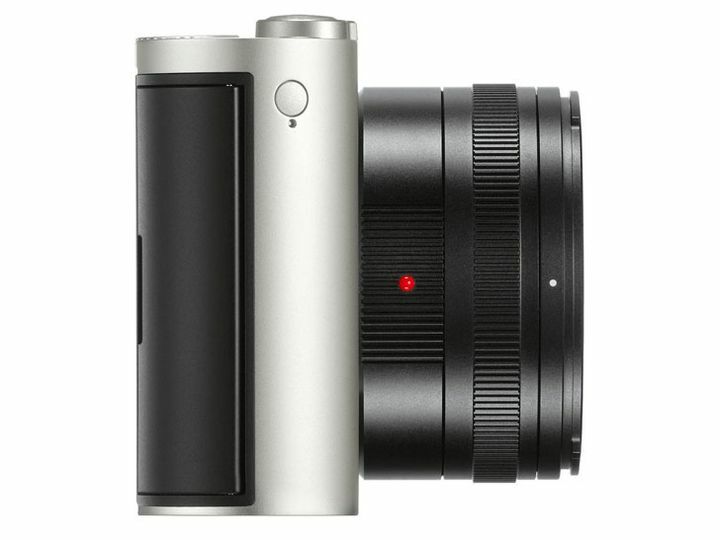 I can only speculate that they coming out with a MF-ML camera, which is very smart, imho. Sony has the market for the Full-Frame (FF) ML cameras and Fuji the DX ML cameras. Nikon might go after the MF-ML cameras market at a reasonable price, just like Sony with FF and Fuji with DX. With the introduction of an MF-ML camera, Nikon might also introduce a new mount, for example the “M-Mount” for their probable line of new MF lenses. However, they might be, at the same time, coming out with a fully functional converter for the F-Mount to the M-Mount. By doing this, the present F-Mount lens owners will continue to have their F-Mount lens compatible with a probable new MF-ML camera. Let us say that the new MF cameras has 60MP (40mmX53mm) sensor. An FX (24mmX36mm) lens will only be able to comprehend a smaller sensor area and it would be the equivalent to ~ 24MP (my estimate) and a DX lens (23.6mmX15.6mm) would be ~ 10.5MP (my estimate.) Therefore, an FX lens owner would continue to shoot at the present resolution (a FF 24MP sensor as with D750, for example) with the added advantage of getting, little by little, the new MF lenses. In this way, everyone would be very happy, especially Nikon that would be making out like bandits. Again, this is sheer speculation on my part; I have no facts or information, whatsoever. However, it makes the most sense. On the other hand, we are talking about Nikon. Who knows what they have up their sleeves, I they have anything at all. I got back from my 5-day Las Vegas trip last Tuesday night. We stayed at the Paris - Las Vegas, which was a fantastic hotel of my taste and budget. The more expensive and extremely nice ones like the Bellagio and Venetian, for example, are too expensively stylish. The Paris was more homey like being in the district of Montmartre in Paris. Having said that, it was very expensive. The buffets ranged from $27 for breakfast to $35 for dinner. It has very nice shops, I cannot afford to buy from and also very nice restaurants I cannot afford to dine at.There was nothing for less than almost $10. For example, two bottled soft drinks ~ $9 or one bottled soft drink and 4 tylenols. 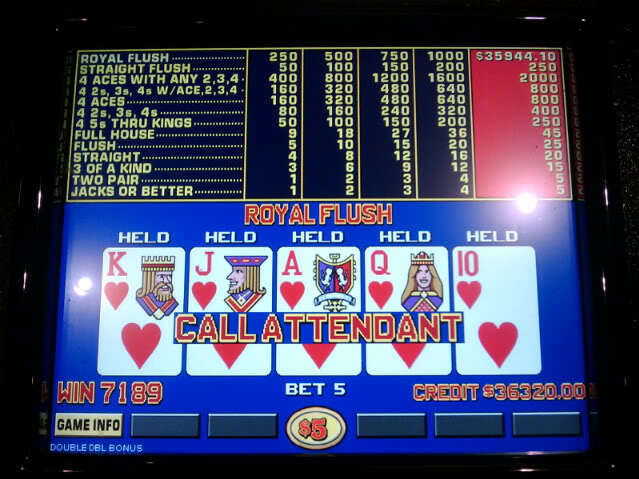 I played the Video Poker Machines (Jacks or Better - Progressive) for 4 straight nights, a couple of hours each night. I started with $80 and finished, after hitting a straight flush, with $81.25. I can say that I won because after four nights, I broke even. However, I won't. What was the purpose of it all? What about all those hours spent at gambling instead of taking photographs? I did not risk much - $80 or 25¢ a hand to win very little or nothing. I broke even, because I hit a straight flush before quitting for good. If I'm going to spent that much time gambling, I would like to play for the trip and a bit more, like $4,000. However, to win that type of money I have to risk ~ $1,000 and play $5 a hand, something I'm not willing to do. Rather than risk $1,000, I rather get a new lens or camera. In other words, in my list of priorities, real gambling is not a very high one. I got the camera today. However, to my astonishment, Amazon sent the X-T1, body only. This is the second time they make the same mistake. Yesterday, I was very understanding because everyone makes mistakes. It is how you resolve the mistakes tat counts. This time around, I'm not so understanding. What are the odds that they make the same exact mistake for the same order? As I told the Customer Service Rep: Yesterday, it was a mistake. Today, it is a trend. It says X-T1 on the box. You think they would be a bit more careful the second time around. Therefore, I'm sending the camera + plus the X-T10 hand grip that I purchased separately for a full refund. In other words, it seems that I will not have the X-T10 after all. One of the powerful reasons I got the X-T10 is because the controls of the X-T1. I have a very hard time with them. It is not just the locked wheels, which are bad enough. It is also the other ones that are small and recessed. It is also the reason that led me to sell the DF, a camera I really liked. I'm diabetic and as a consequence I suffer from diabetic neuropathy. My extremities, especially my hands, are very stiff, twinkling, and in pain all the time. My hands feel that they are being punctured by thousands of needles. Nothing I can do about it, besides the "pharmacy" I'm already taking. When you are in pain, you have to learn to live with it. However, it is hard to handle difficult cameras like the T1 and DF. The controls of the T10 are much easier to operate. There are no locked wheels, the command dials turn much easier, and the buttons are not that recessed and slightly bigger. The only way to set the ISO is through Q menu that you can see through the EVF by turning the back command dial. I played with the T10 about an hour, yesterday. The only way to really know it and compare the difference in handling between the T1 and T10 is to work with them. If I see that I do not use the T1 anymore, I might sell it. However, every time I look at it, I come to the conclusion that I can never sell such a fantastic and gorgeous looking camera. I might keep so I can display it in my living room curio. :) It is undoubtedly the best camera I ever had. This time I really mean it; it is the camera I want to be buried with. I'm not making the same mistake with the T1 as I did when I sold my beloved D700. If and only if the T2 is a twin of the T1, then I'll look into it. However, I'll cross that bridge when I come to it. The only reason for even looking at the T2, are the controls and the 2nd card slot. When I travel, I need the 2nd slot as a back up. I do not want lose 1,000 or more photos because the card went bad. You never know when you are going to visit the place again. That is why I took the D750 to Washington DC instead of the T1. Why do I struggle with the Fuji cameras? Two reasons: the cameras and the lenses, which are out of this world! David...The little camera that could! 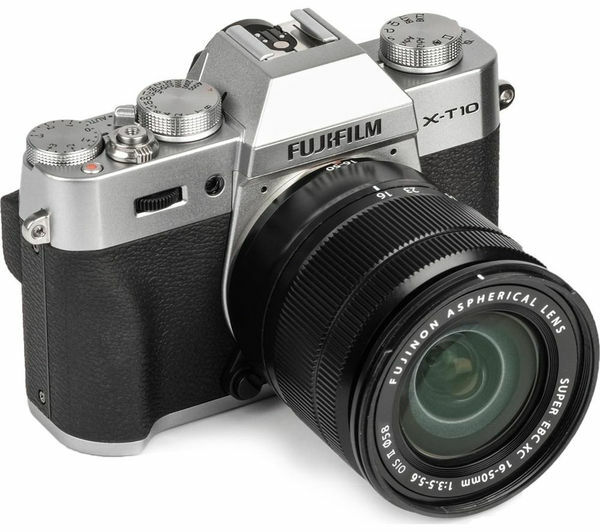 I just ordered from Amazon the Fujifilm X-T10. It was a no-brainer. The Price came to $649 with the 16-50 f/3.5-5.6 lens. I can easily get ~$300 for my 18-55 f/2.8-4 lens. This will bring the price of the camera to $349. In addition, I like the X-T10 better than my X-T1. It is lighter and the controls are better and simpler. There are no locking controls wheels, something that is driving me up a wall with the X-T1. On the other hand and imho, the X-T1 is a much better camera. Again and imho, the X-T1 is better than the Leica M - truly remarkable! I am very much aware that the main reason for the $300 discount at Amazon is because Fuji might be coming out with an upgrade. That does not concern me, because I'm not upgrading it. I am open to upgrading the X-T1, though. 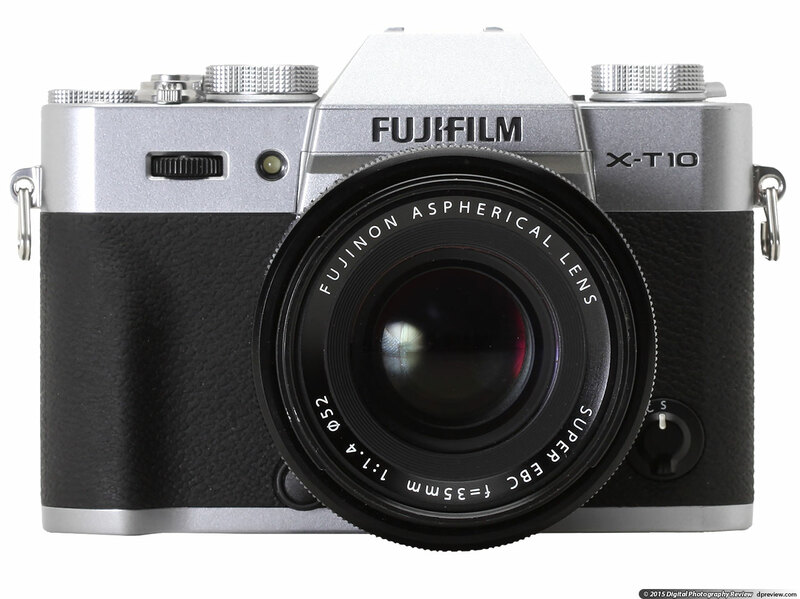 In addition, the successor, probably the X-T20, will be more expensive. The X-Pro 2, for example, came with a steep price increase. I will keep both the X-T1 and X-T10. I will take the X-T1 to be modified by removing the locking mechanisms from the ISO and Shutter Speed dials. Regardless if it can be done, I will use the X-T10 as my carry-with-me camera to be left in the trunk of the car. I was using the X-T1 for that purpose, but I hated to do so for fear of losing it, damaging it, or just being stolen; the X-T1 is a very expensive camera. I will also use the X-T10 as my travel camera and the reason for rushing the purchase due to my upcoming trip to Las Vegas, by the end of the week. I could never makeup my mind about the 18-55 f/2.8-4 lens. I did not know whether to sell it or keep it. I was not using it, but it is a very nice lens. For example, the Nikon counterpart, the 16-80 DX f/2.8-4, costs ~ $1,100 and it is much heavier. Now with the 16-50, I have no problems in selling the 18-55. OK. Maybe it is not, strictly speaking, the Nikon 16-80 counterpart. It is certainly in between the Nikon 18-55 and the 16-80. The "XC" 16-50 is not designated as the "XF" 16-50. It is rated as a "Compact and Casual" lens (the "C" in XC) and not a "Fine" lens (the "F" in XF.) The "Fine" is the top or professional grade lens. The "Compact and Casual" lens is a grade bellow. The "X" stands for Fuji X-Mount lens. 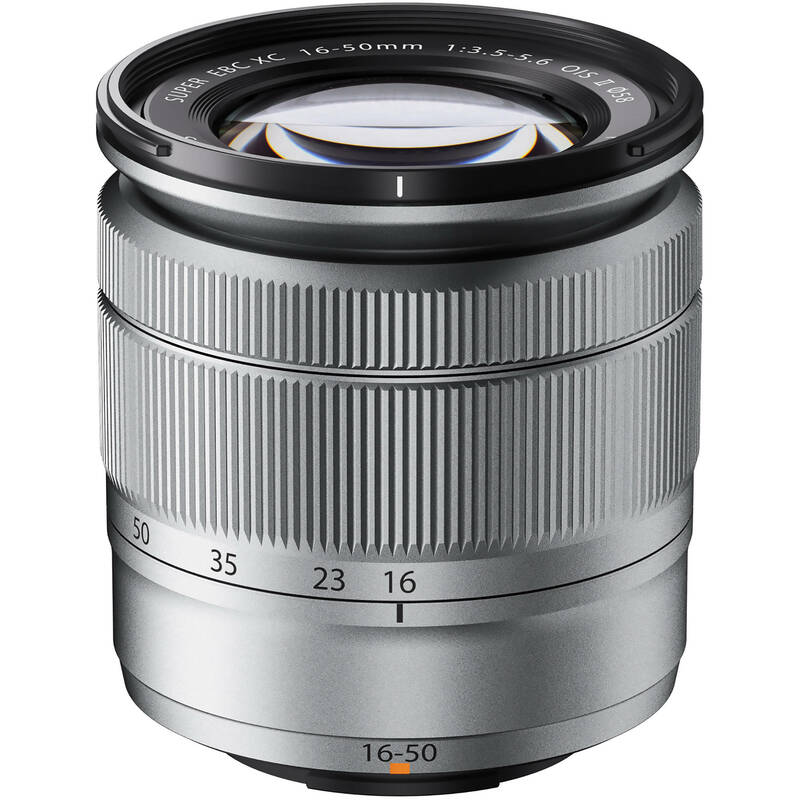 The 16-50 f/3.5-5.6 lens is not as good than the 18-55 f/2.8-f/4, but I like it better. It is much lighter and the 2mm wider is very important to me. The drawback is almost one full stop slower and not a pro grade or not that well built. I was not even planning to get the X-T10, especially after my very recent purchase of the Nikon D5500 (IR.) I somehow looked into the X-T10 and liked what I saw. Furthermore, the special discount at Amazon, made it, as I said, a no-brainer. I'm planning a Las Vegas trip from March 10-14. I have not been to that city in more than 20 years. Therefore, I have not seen any of the new hotels and attractions like the Bellagio, Venetian, Wynn, Madelyn Bay, Paris Las Vegas, etc. I'm staying at the latter. It was as cheap or expensive to drive to Las Vegas and stay at the Paris as to fly there with the same hotel included. I'm flying. I'm taking my new Fuji X-T10 with the 10-24, 18-135, 16 1.4, 56 1.2 and a fifth lens. It is going to be between the 55-200 or the 90 f/2. I plan a 15-hour tour of the Grand Canyon - South Rim and the reason for taking the 55-200 over t he 90 f/2. I've been to the Grand Canyon several times, many years ago. At this time, I do not think I can drive there anymore and it is very difficult to fly there - I do not know how. Therefore, it might be my last chance to visit it. I have tickets for the Cirque du Soleil show and the reason for taking my 56 1.2. I wish they let me take pictures in the show. I just ordered/purchased the Nikon 5500 (IR) from MaxMax. I was always interested in B&W and/or IR photography. Finally, I took the plunge. I can make the IR photos look more like B&W. I always liked the D5500; it is a great light camera. This was not a spur of the moment decision. It has been in the works for some years. 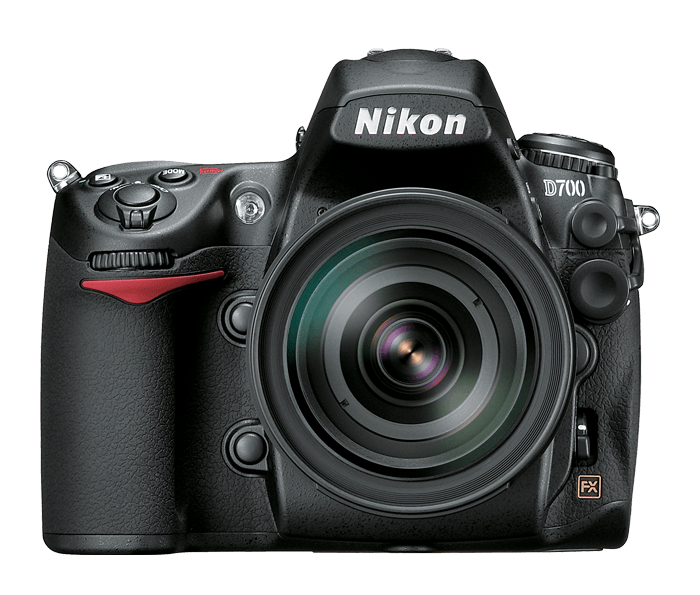 About 5 years ago, I almost purchased the Nikon SLR F100. What kept me from it was the cost of the film and the development of it. It came ~ $12.00 for 36 exposures - too expensive. When Fuji announced the X-T1 (IR), it rekindled my interest in B&W and/or IR photography. About four months ago, I was ready to pull the trigger on the X-T1 (IR,) until I found out that I needed to shoot with a cutoff visible-light filter. That took care of that. Three months ago, I purchased the one year subscription to DigiLloyd's IR photography site. It is there where I found out about MaxMax, which Lloyd Chambers strongly recommended. Until then, I did not know who to go for IR cameras. I also purchased a couple of books, which I'm reading. 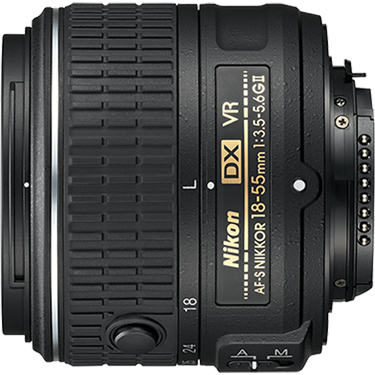 I also ordered from Amazon, the Nikkor AF-S DX 18-55mm f/3.5-5.6G VR II for $250. I already have the B+W 52mm UV Filter. A lot of people, including Bjorn Rorslett stated that the 18-55 is an excellent IR lens. It s a very light lens (~.42 LBS.) that goes well with the very light D5500. Lloyd Chambers praised very highly the 18-200 VR for shooting IR. However, it is $650, but the major drawback is its weight, around 1.2 lbs. It also extends a lot at 200mm. It is not a very good match for the D5500. I have a lot of lenses that I will try to see what works best for the D5500 (IR.) At least with the 18-55 I have a lens that will work from the start and it is a very usable focal length; the equivalent to 27-85mm in 35 mm format. That might be the only lens that I will ever need for IR photography. The others are like icing on the cake like the Nikon 28 1.8, the Sigma 50 2.8 Macro, the Nikon AI-s 70-210, and many more that I have for the Nikon D750. I just added to my Wishlist my beloved Nikon D700, which I inexplicably sold - a major mistake. After all these years, I still miss it even though I realize it is dated. I said many times that the D700 is the camera I want to be buried with. I bought it as a back-up to the D300. To my surprise, I used the D700 all the time and not the D300. I finally sold the latter, something I never thought I would do. The D300 was my first serious digital camera. I never missed it. I cannot say the same thing about the D700.